The business law attorneys at Lucas Law PLLC, in the Lakes Region of New Hampshire provide business formation services related to the creation, reorganization, selling, purchasing or dissolution of enterprises in the Granite State. In relationship to business law and the creation of small companies, we are seasoned and knowledgeable in all aspects. We are dedicated to helping the entrepreneur and the small business owner in New Hampshire succeed and thrive. of services related to the creation, maintenance, and transformation of businesses in the state. We provide each of our clients with personalized service that is focused on helping them develop the type of business entity that will best serve their needs and purposes. Along with creating the formal documents that are necessary to business formation in New Hampshire, our business law attorneys will ably handle contract and agreement negotiation and creation, warranty and/or guarantee documents, and financial documentation. There are various types of business entities that may be created. In successful business formation, it is essential that those who own the enterprise create the type of entity that they can sustain, develop, and nurture. Sole Proprietorship: This type of business has the least amount of legal formalities. With a sole proprietorship, the owner takes sole responsibility for the operation and finances of the business. This includes its profits and losses. With this kind of business, the owner’s personal property is connected directly to the business. That means that the owner assumes unlimited risk concerning his/her personal assets. “C” Corporation: With this type of entity, the owners and shareholders are protected from responsibilities and liabilities associated with contracts and debts. That’s because a corporation is a separate entity from its owners. The corporation as well as shareholders must pay taxes on profits. “S” Corporation: Although an “S” Corporation is similar to a “C” Corporation in that it protects those associated with it from personal liability, it does differ in one major way. With this entity, taxes are paid by the individual shareholders and not by the corporation. 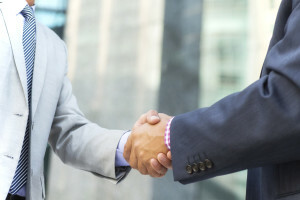 General Partnership: With a general partnership, two or more people enter into a formal agreement through which they then own and operate a business together. The partners share profits, losses, and liabilities. The partnership does not pay taxes, but the individual partners do. Limited Partnership: This kind of business entity involves a general partner who is in charge of organizing and managing the business, while limited partners support the venture with capital. The partners are not actively involved in the business, and they have limited liability in terms of the enterprise. Limited Liability Partnership (LLP): Known as an LLP, this entity protects individual partners from personal liability related to the negligent acts of other partners or employees who are not under their direct control. Limited Liability Company (LLC): With a LLC aspects of corporate and partnership entities are combined. With a LLC, the various parties control shares of the company while their liability for the operation of the company is determined by each party’s level of investment. Taxes are not paid at the individual level, but, rather, at the shareholder level. If you are involved in business formation, your success is tied to many different parts of the process, including securing a knowledgeable and experienced business law attorney. Your attorney will be responsible for making sure that you are on firm footing in every and any legal matter, including in the formation of your entity, creation of documents related to your doing business on a daily basis, and the development of standards and procedures that will meet compliance standards for state and federal governments. When you decide on a business law attorney make sure that it is someone with whom you can communicate, who will be able to meet deadlines, and who understands all aspects of business law. If you are involved in business formation or presently own a business and require legal assistance in any aspect of your enterprise, contact Lucas Law PLLC, in the Lakes Region of New Hampshire, at 603-581-7102 to arrange a free consultation. We will be happy to discuss your plans and provide you with an outline of how we can help to make sure that your business is on firm legal footing. Along with developing and creating the legal documents necessary for the formation of a business in New Hampshire, we will also the protections that you require as a business owner.